Looking for a cosy and romantic stay in a winter wonderland? 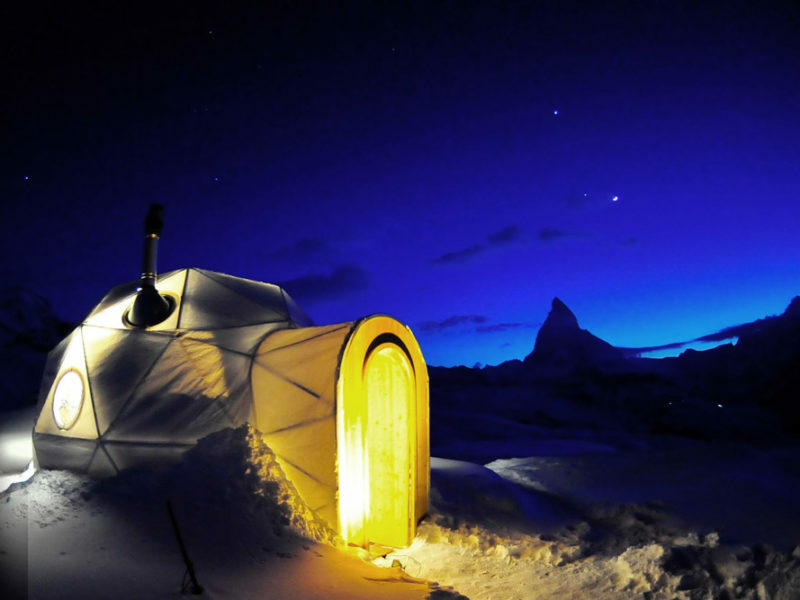 head to Switzerland's Igloo Villages. From fairytale towns to vertiginous heights, these just might be the most romantic destinations in not just Switzerland but all of Europe. 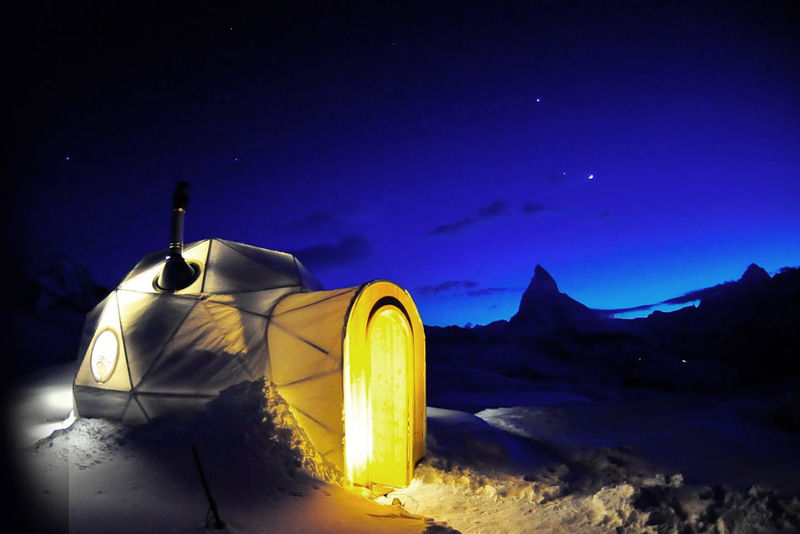 One of the most romantic forms of accommodation in a country with an abundance of grand hotels is an igloo stay. What could be cosier than snuggling up with your significant other in a room made entirely from ice and situated in a winter wonderland of white? There are various Igloo Villages scattered around the country, including in the resort town of Gstaad and in Engelberg, near Trübsee Lake at the foot of the mighty Titlis. Book the Romantic Igloo, which features unique snow art, two-person sleeping bag, and thick sheep skin rugs. Located 15 minutes from Basel, the Restaurant Schloss Bottmingen is the ultimate candlelit-dinner location. It’s a 13th-century castle surrounded by a moat and rambling gardens where you dine on the finest French cuisine. Entrance to Restaurant Schloss Bottmingen, it’s a 13th-century castle in Switzerland that serves French cuisine. It is after dark that the castle really sets hearts aflutter, when intricately draped fairy lights sparkle and reflect off the still waters of the castle moat. Each year from mid-June to mid-August the spectacular Bernese Oberland erupts in a blanket of colour and fragrance. Blanket of fragrant and pretty wildflowers in Bernese Oberland, Switzerland. To really indulge in the beauty of it all, base yourself in the lovely town of Grindelwald and hike to surrounding towns like Meiringen and Adelboden. Book-lovers will swoon at the sight of the Abbey Library at St. Gallen. Majestic ceiling and soaring book shelves of Switzerland’s Abbey Library at St. Gallen. While the Abbey itself dates back to the eighth century, the sublime Rococo library was constructed between 1758–67. It is widely considered one of the best in the world, with burnished woodwork and delightful ceiling frescoes. Among its roughly 170,000 priceless pieces are illuminated texts, prayer books and biographies of the saints dating from the ninth century. The Abbey precinct, including the library, is listed as a UNESCO World Heritage Site. Mount Pilatus is regularly listed as one of the best places to propose in all of Europe. It certainly makes for a memorable experience: the peak is traversed via the steepest cog railway track in the world (or you can take a gondola). View of a romantic sunset from Mount Pilatus over the Lake Lucerne. Once at the top, the panoramic view, which has been marveled at by the likes of Richard Wagner and Queen Victoria, takes in 73 peaks and stretches on forever. True romance requires Champagne: book a table at Hotel Pilatus-Kulm’s outdoor terrace for lunch. Water castles, as the name implies, are moated castles; what isn’t hinted at from the name is how evocative and ethereal they are. Chillon Castle, located on a rock on the banks of Lake Geneva near Montreux, is the most visited historic building in the country but, for a less crowded experience, try Hallwyl Castle near Seengen. Ethereal Hallwyl Castle in Seengen, Switzerland. Easily accessible from Zurich, every three years an opera is held here on the grounds, with the floodlit castle as a spectacular backdrop. Meanwhile Castle Hagenwil in Amriswil, another impeccably preserved castle, has an à la carte restaurant for dinners à deux and its annual festival in August has a roster of theatre and events in the delightful castle courtyard.